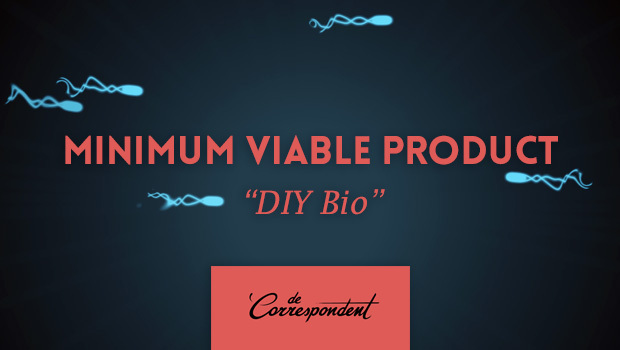 MINIMUM VIABLE PRODUCT: “DIY Bio” is a mini documentary about biohacking. It includes my thoughts on biohacking as well as coverage of the Biohacker Meetup at SXSW. Present on the SXSW panel are (left to right) myself, Josiah Zayner, Jason Bobe, and Jeffery Barrick. The footage of c.elegans was shot in Emalick Njie’s “Mutant Worms” Genspace workshop. In addition to that, you can see a sneak peek of the work I’m doing with Natalie Kuldell and her collection of teachable labs, Biobuilder, and of course work from CUT/PASTE/GROW with the ever amazing Wythe and Dan. The mini-doc was created by infinitely talented Dutch-American documentary team Jongsma + O’Neill. MINIMUM VIABLE PRODUCT is an investigative series about creative technologists, and was commissioned by Dutch crowdsourced news site De Correspondent. The mini-doc is in English with Dutch subtitles. The article is in Dutch, but can easily be read via an online translator.